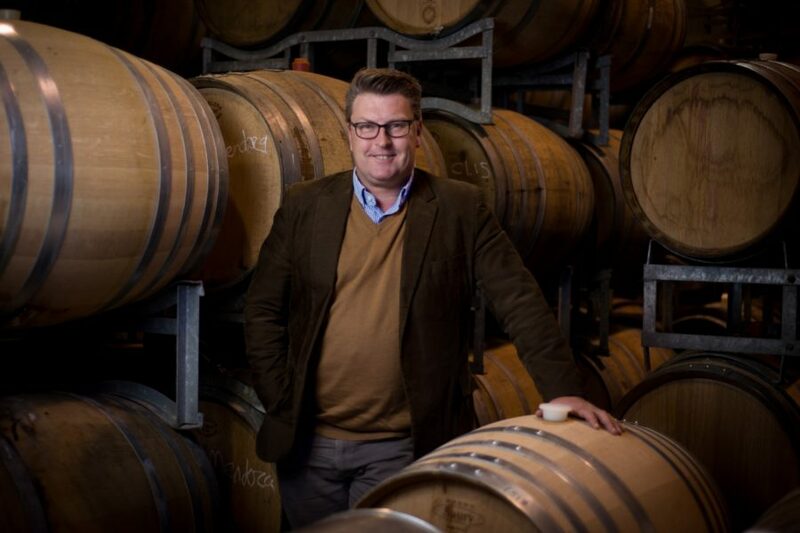 Says Ant Mackenzie whose background includes winemaking for such distinguished brands as Dry River (tastings), Kidnapper Cliffs (tastings), Te Awa (tastings), Framingham (tastings) and Spy Valley (tastings) as well as for producers in Australia, the US and Europe. Ant’s latest release wines arrived for review. They reflect sound fruit and exceptionally good winemaking. All offer very good value in their $19-22 price category. The 2015 Ant Mackenzie Wines Theory & Practice Pinot Gris (Hawke’s Bay) avoids the coarseness of excessive skin contact and the cloying effect of residual sugar as a cover for coarseness. It is a plump and flavoursome wine with good varietal flavours and a dry-ish finish. Definitely in the pinot gris rather than pinot grigio style. I liked the 2015 Ant Mackenzie Wines Theory & Practice Chardonnay (Hawke’s Bay) very much. It’s a high energy wine with typical varietal weight and flavour. Good food wine. Similarly, the 2015 Ant Mackenzie Wines Theory & Practice Merlot (Hawke’s Bay) delivers a lot of bang per buck. It’s a rich and fleshy red – deliciously accessible now without having compromised a potential for bottle development. The 2014 Ant Mackenzie Wines Theory & Practice Syrah (Hawke’s Bay) is another winner, particularly when you take price into account. Quite an edgy style, with a suggestion of florals and white pepper, it’s a supple red in a deliciously drinkable style.